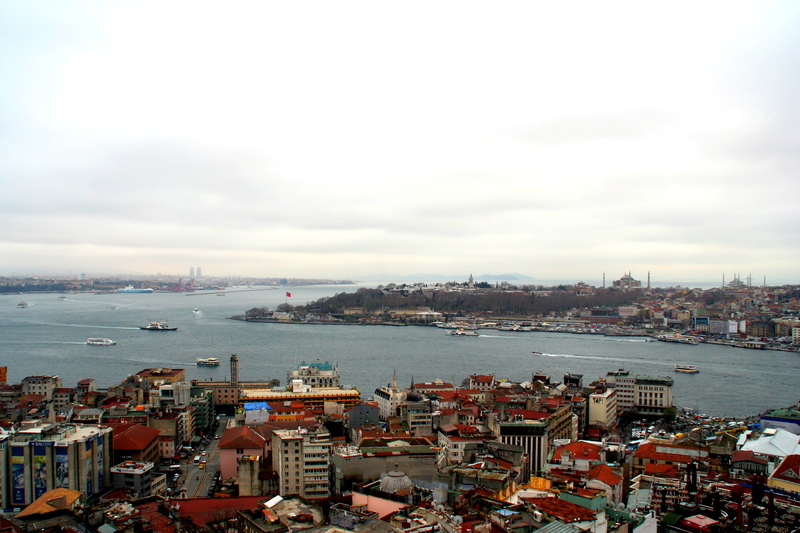 With the city’s hilly topography, views of the water abound. 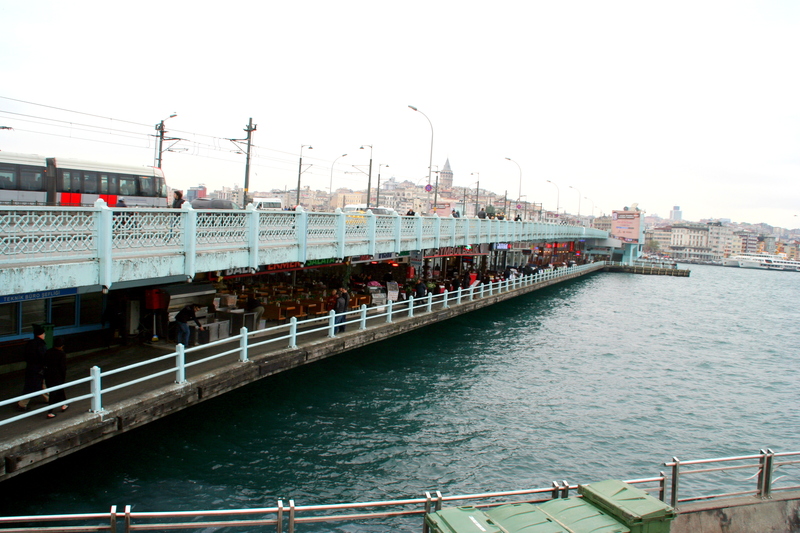 The Galata Bridge spans the Golden Horn and is the main connector between historic and new Istanbul. 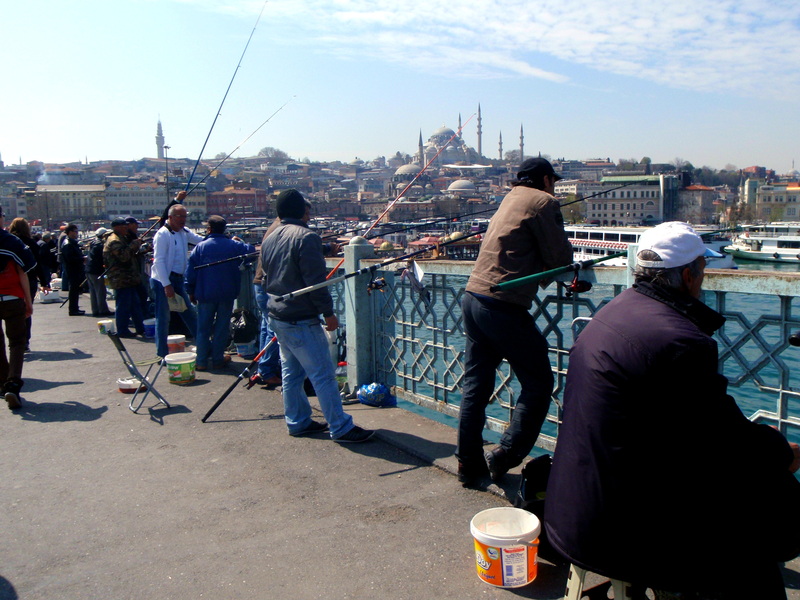 The bridge has a dual personality, with fishermen lined up above, trying their luck, and restaurants below, serving fish, what else? 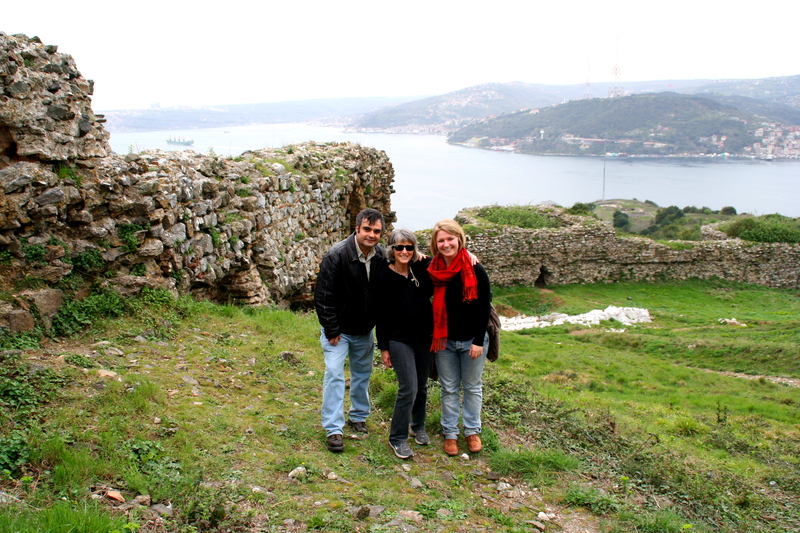 My friend and former Svanholm guest, Sungur, came into town one day to join Bryn and me for a boat ride on the Bosphorus. Besides visiting the major mosques and bazaars, it is the excursion he recommends most highly to visitors. 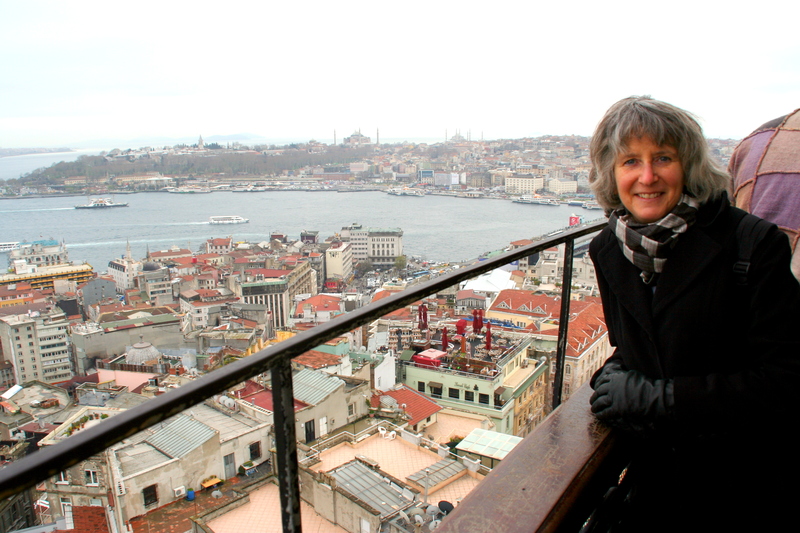 We settled into our seats and watched the Tower of Leander fade into the distance. Over the years, the tower has served as a watchtower and a lighthouse. 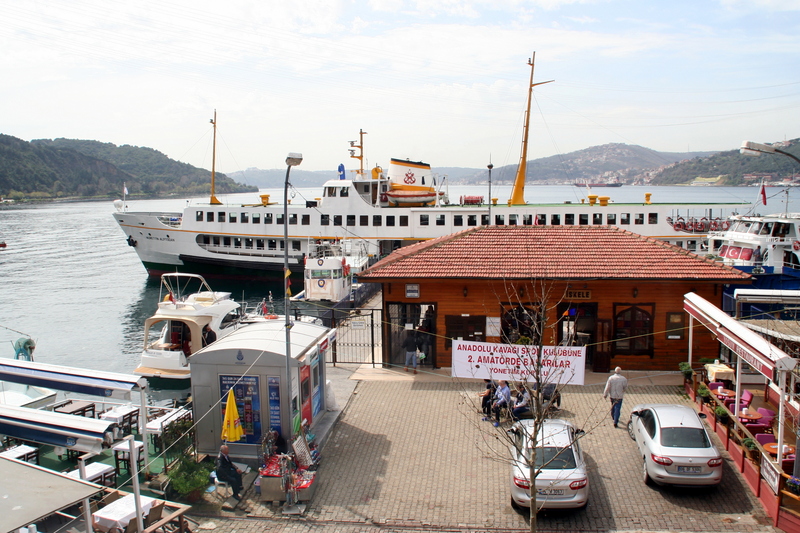 Currently it houses a restaurant and cafe. 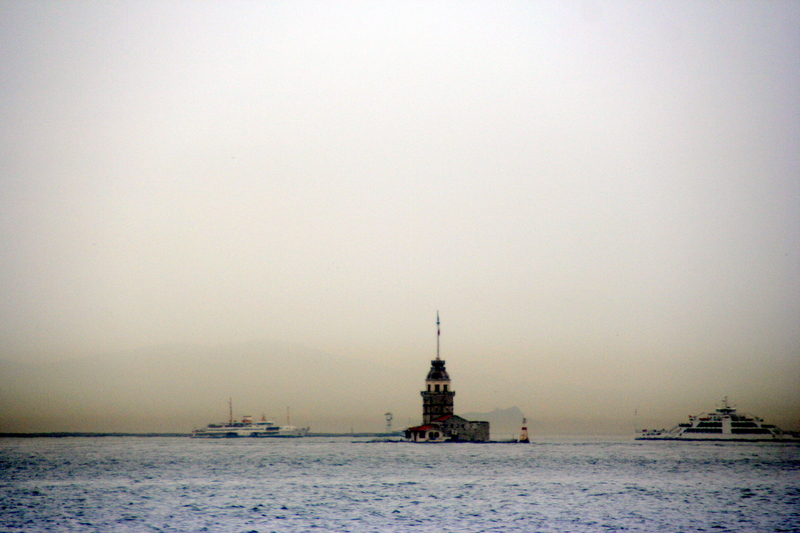 The locals also call it the Maiden’s Tower because of a story about an emperor who dreamed that his daughter was going to die because of a snake bite and settled the girl in the tower to ensure her safety. In spite of his precautions, the tragedy could not be averted and the girl was bitten by a snake hiding in a fruit basket. While we were underway, we were thrilled to spot some dolphins swimming beside us. 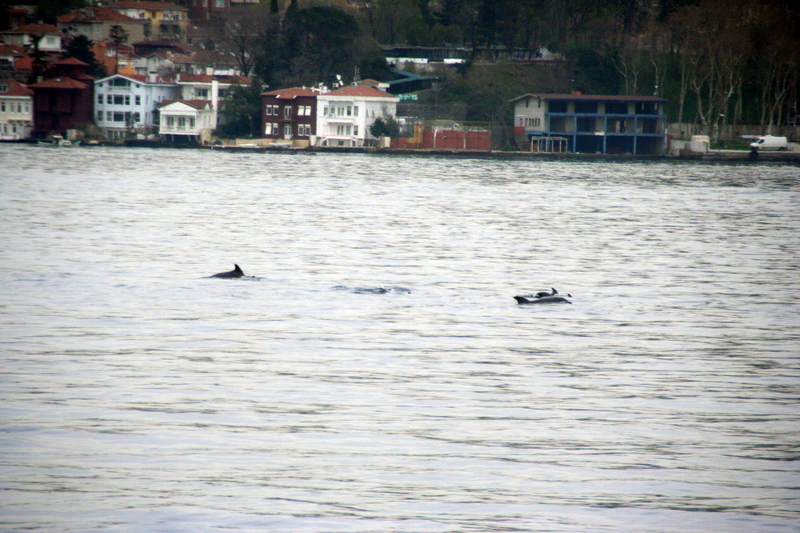 Dolphins are a sign of good luck, so in spite of the clouds overhead, we looked forward to our adventure. 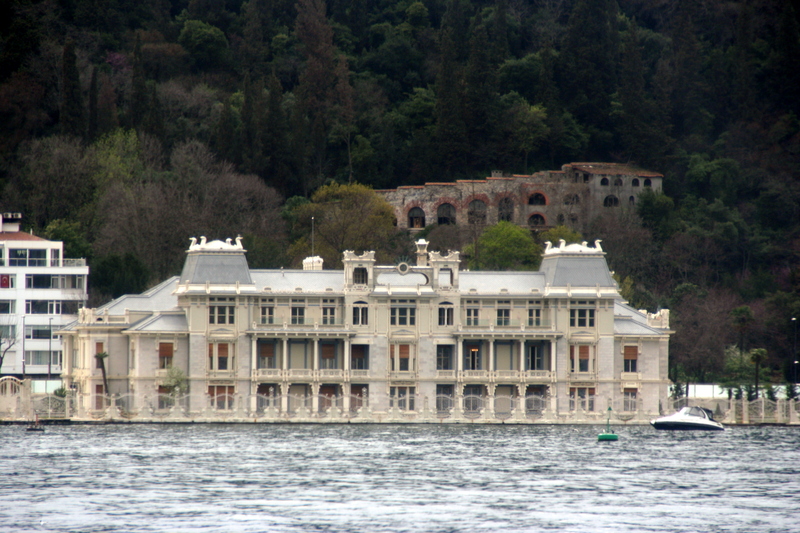 The banks of the Bosphorus are lined with palaces and mansions that date back centuries. Wealthy families often moved out of the city to the waterside to escape the summer heat. Our boat made several stops along the way, picking up and dropping off passengers while criss-crossing from Europe to Asia and back again. After about an hour and a half, our final destination came into view. 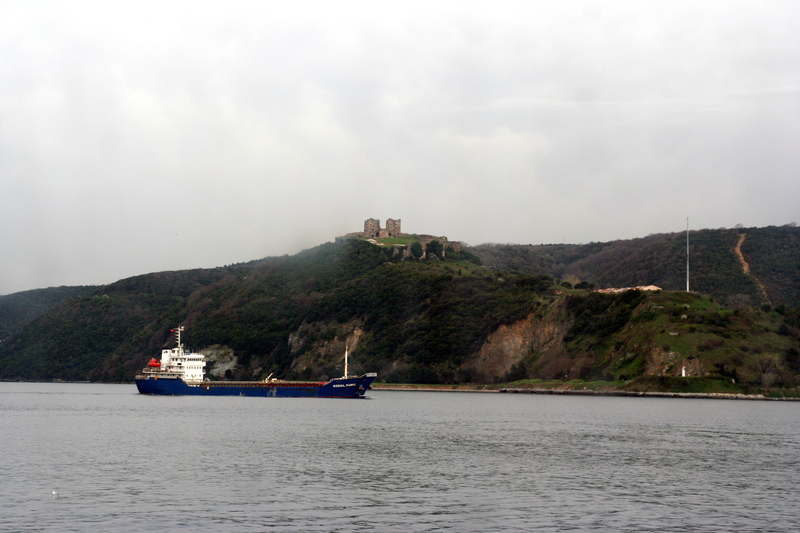 An old castle, perched high on a hill, now in ruins. The boat dropped us off and we had three hours to explore and have lunch before it would take us back to the city. 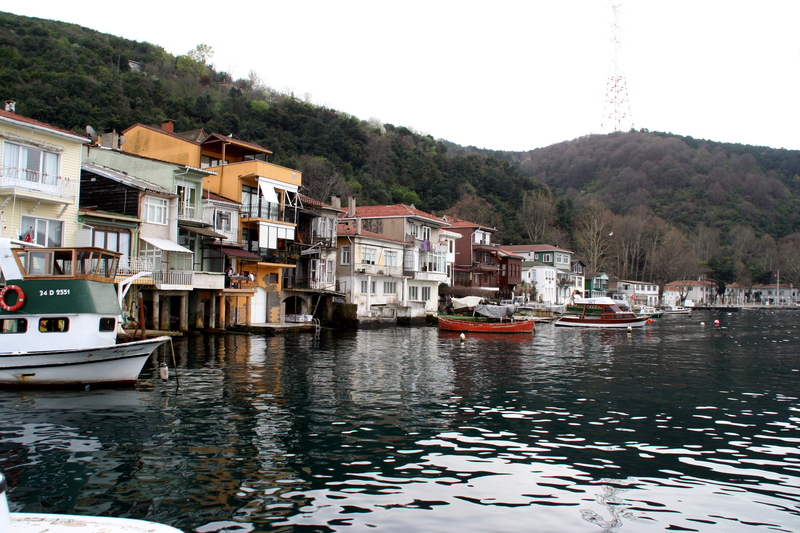 We disembarked at Anadolu Kavağı and admired the town’s traditional yalis (waterfront villas). 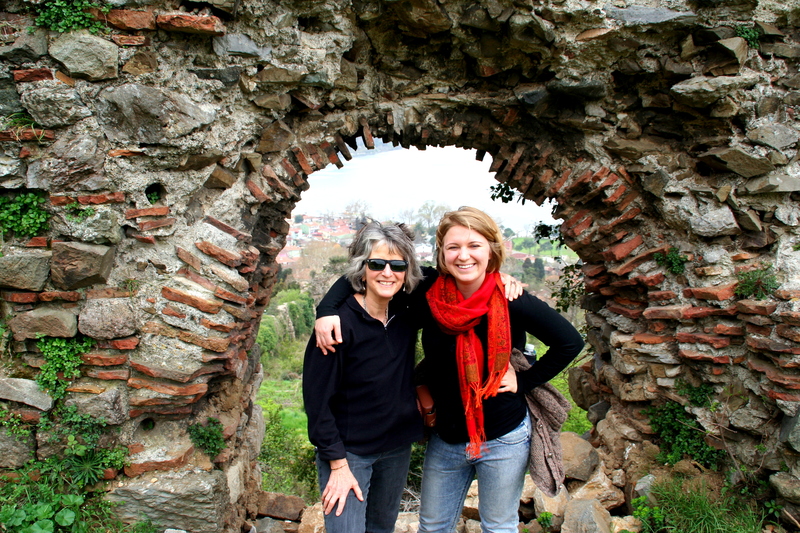 A healthy hike got us up to the ruins, where a guard allowed us, but not others, to go into a roped off area and explore. 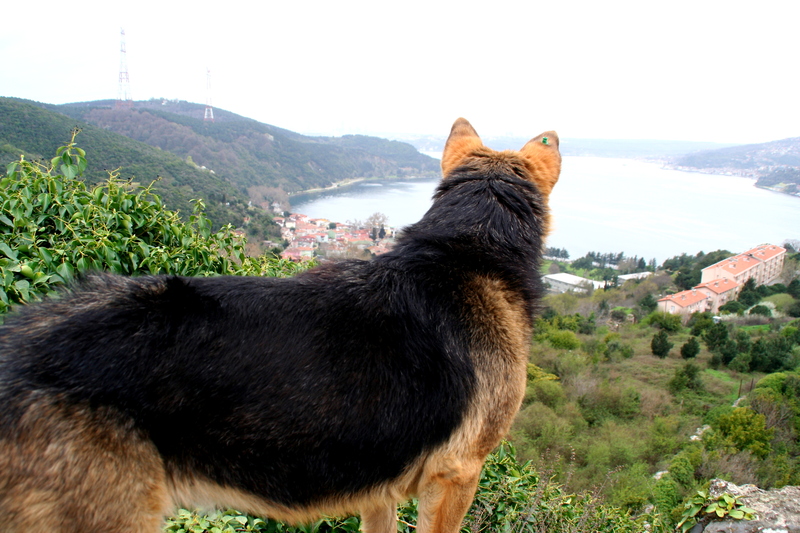 A friendly dog acted as our tour guide, making sure we saw everything. 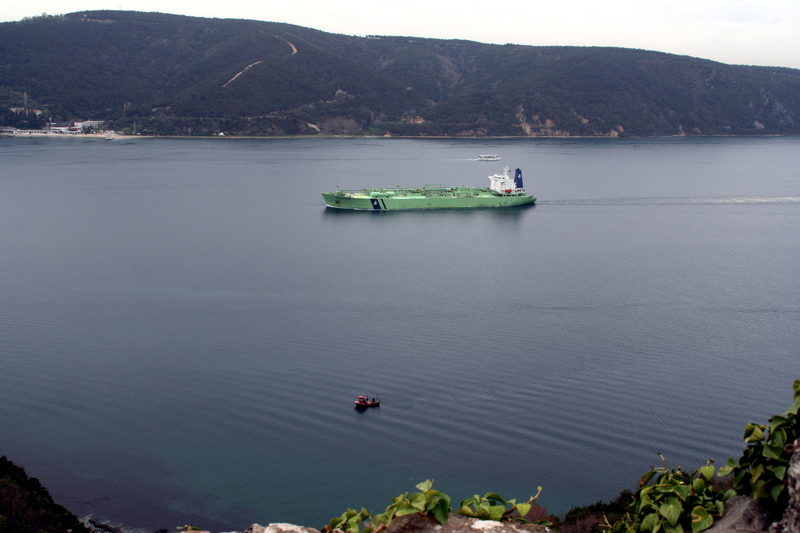 The Bosphorus is the world’s narrowest strait used for international navigation and, as you can see below, it is used by many different kinds, and sizes, of watercraft. I’m not quite sure why the guard only let us into this area. Maybe Sungur charmed him or maybe it was the luck of the dolphins. We had a leisurely tour of the place and gave the guard a small tip when we left. Back down in town we enjoyed a delicious lunch of fresh fish before reboarding our boat and heading back to the city.